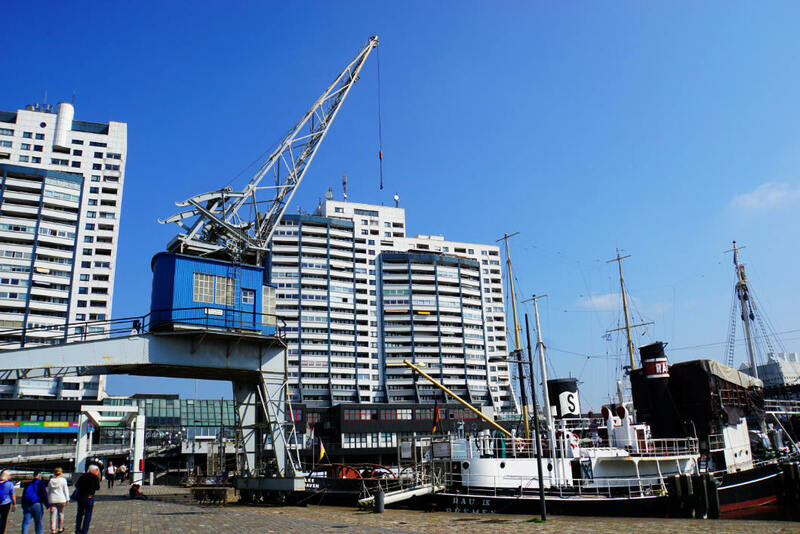 When I go to Bremerhaven, I am going to see ships and cranes… my expectations were a little bit like that before we got into the car and drove to the city at the mouth of the river Weser. 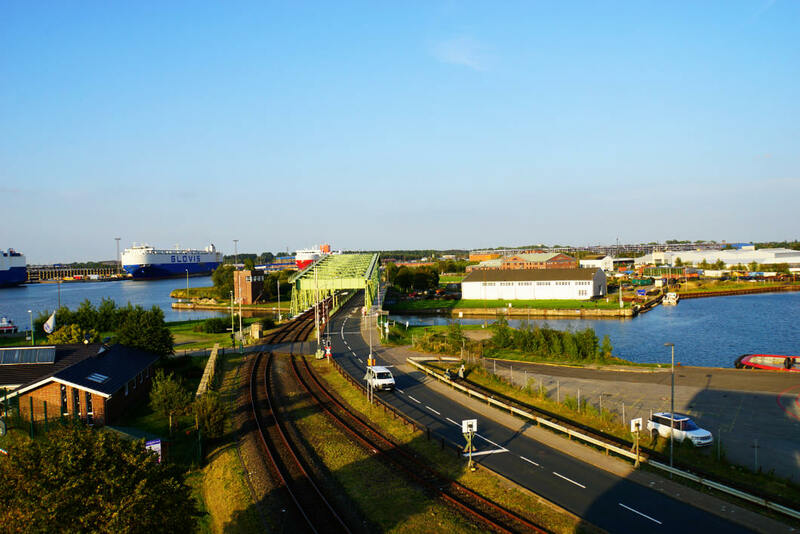 What we saw, what we liked best and what you totally shouldn’t miss – our 10 + x tips for Bremerhaven! In a city with a harbour, a harbour tour needs to happen of course. We decided in advance that we wanted to do the tour of the international ports and boarded our ship in the absolute nicest weather. The skylight was wide open and even though we were about 15 minutes early the boat was almost completely full. Passengers sit at tables for 6 and – and I really liked that – don’t have to listen to prerecorded tapes. The tours here are still live which allows the speaker to focus on the ships that are currently moored. The tour begins in the New Port and passes the marina and the new apartment buildings at the edge of the harbour. Sometimes you just have to thank Monument Protection when all of a sudden, between the new apartment buildings, you spot an old crane for unloading cargo ships that reminds you of the old purpose of that area. 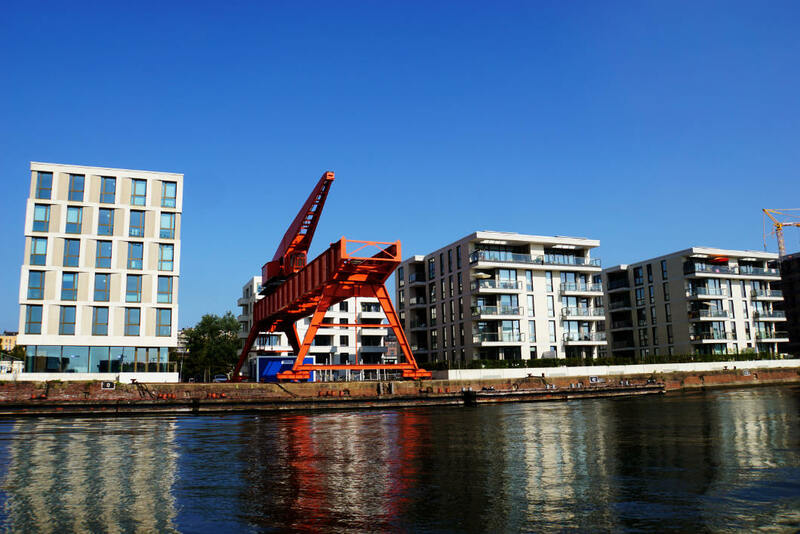 We continue under a small drawbridge and reach the harbour basins: Kaiserhafen I, II, III. From then on, we pass a variety of different ships. We are given background facts for almost every ship that we pass, information is pouring down on me. About tonnage, laytime and different uses, the spectrum is huge. And huge are the ships, too, that we spot in the next basin. Humungous ships that carry hundreds and hundreds of cars are moored here. 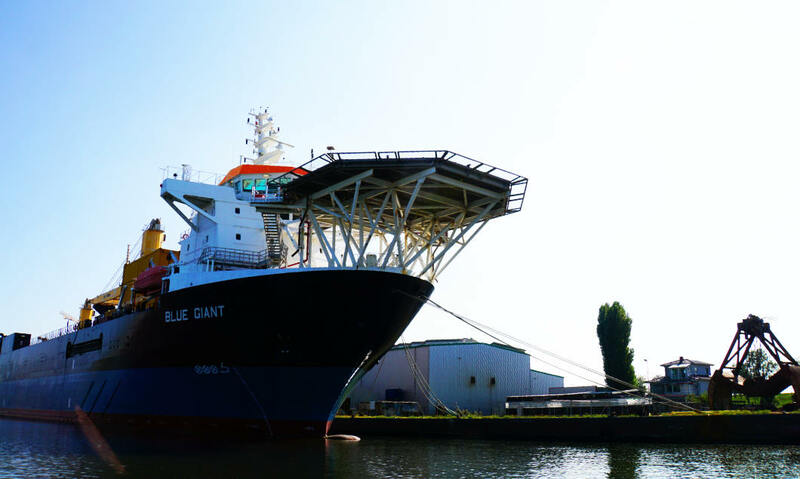 It is impressive to pass the hull of these giants in our small tour boat. Obviously, we pass quite a few docks as well. Some are empty, in some are ships and some even hold „secret project“ ships. 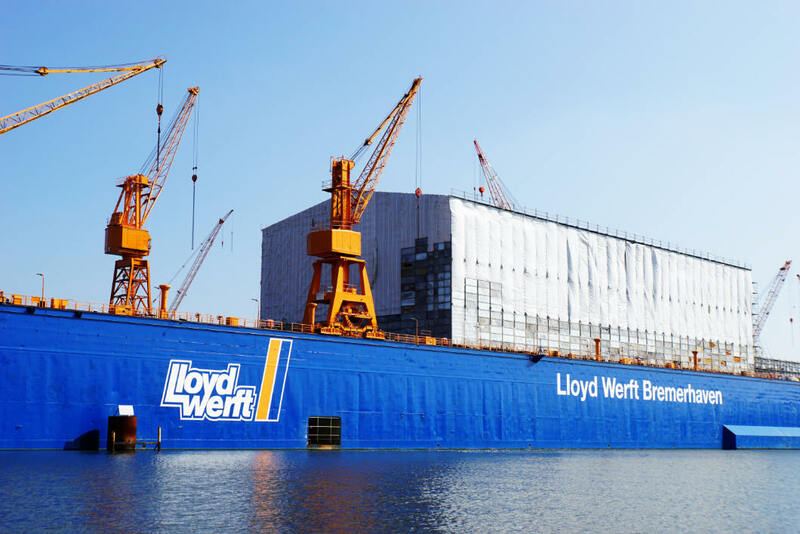 In the Lloyd dock, for example, a ship is being built and everyone is curious what it’s going to look like. The hour that we have on the boat flies by. There was so much to see that I often didn’t know what to take in first. And the best of the tour is, were you to do it again the next day, all the ships in the basins would be different and therefore the tour would be all new again! 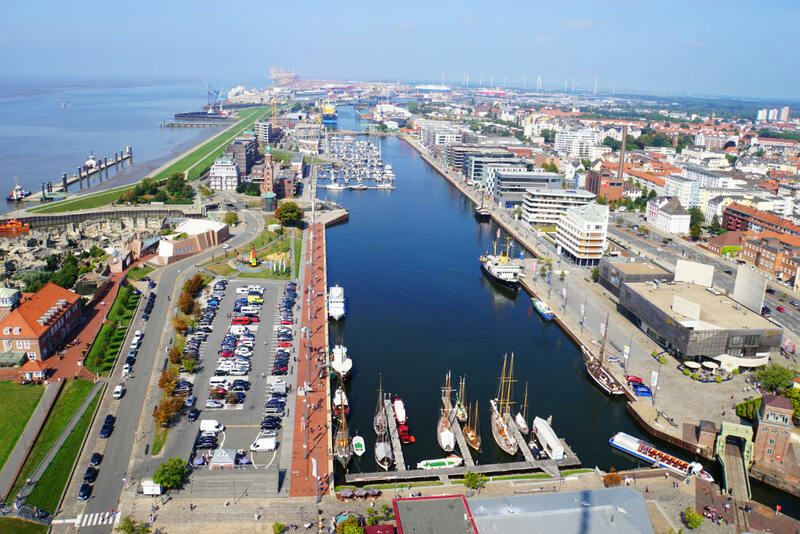 To get an overview of Bremerhaven I recommend the observation deck SAIL city. The view of the new port is particularly exciting. One gets to see the basin from above, the zoo, the Weser mouth and far in the distance the international port. The view in the other direction reveals the old port and the museum ships. It was a little overcast and the fishing port was not visible. On a day with good weather and high visibility, a visit is certainly a brilliant idea. For us, it was the perfect start and a great overview of the city. After that much water and harbour, we stroll through the pedestrian area which runs parallel to the old and the new port. First, we find a group of seals – or are they sea calves? 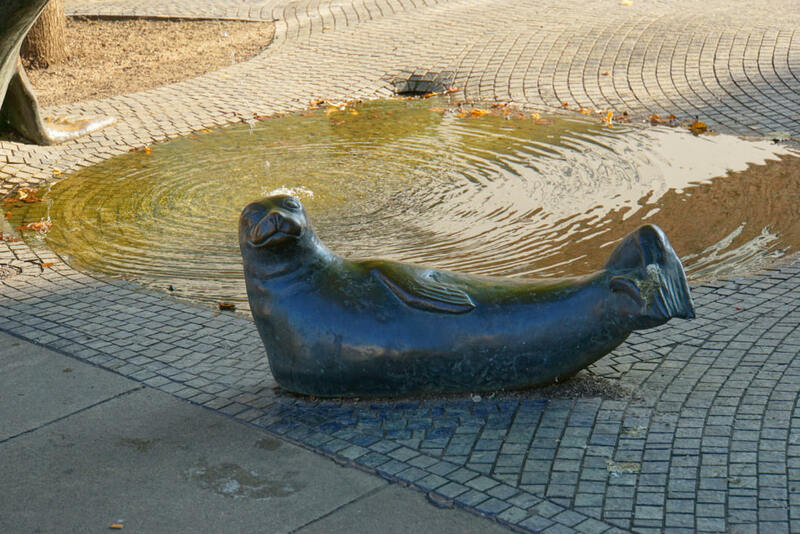 Hidden between a couple of buildings is a very realistic sculpture of the cute animals. The Bürgermeister-Smidt-Gedächtniskirche (Mayor Smidt memorial church) is another impressive point of interest in the pedestrian zone. 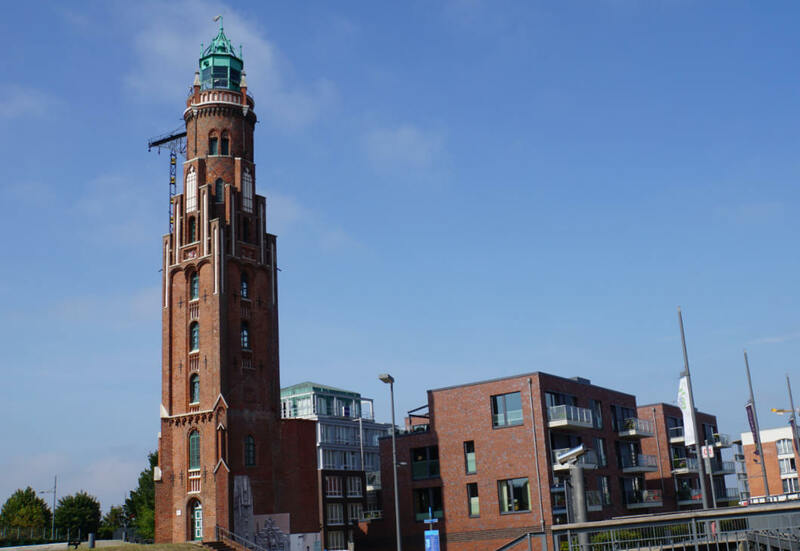 Originally, the city planners of Bremerhaven had not accounted for a church in the city. It wasn’t decided until 1842 to build a church after all. The first few tries failed due to the very soft ground that caused the foundation of the building to sink. 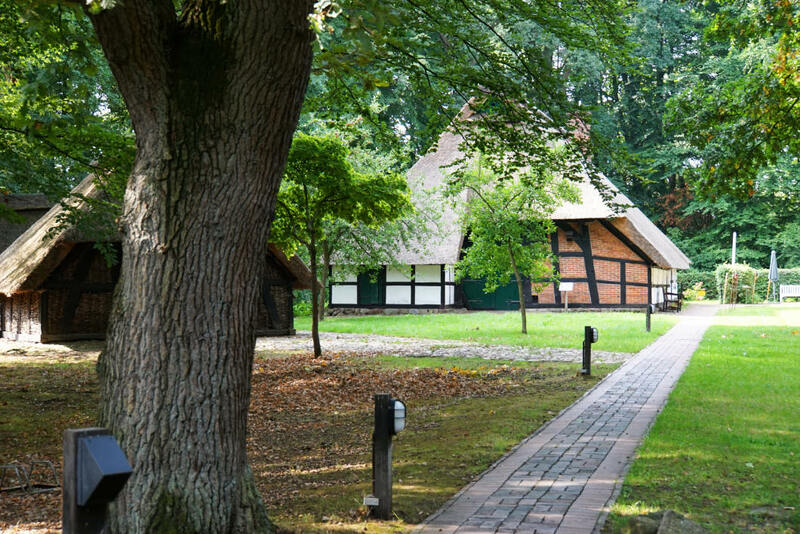 Construction could not be started until the architect Simon Loschen had 522 wooden pillars driven into the ground as a stable base for the building. The church was consecrated in 1855. The building sustained heavy damage during the Second World War and was rebuilt later. The church, standing 80 meters tall, was the city’s most famous landmark for a long time. Arriving ships were able to see the tower from afar and used it for navigation. In the present day, even taller buildings surround the church and offer new landmarks for orientation. In close proximity to the church, I discovered a rather unusual statue. It is the Denkmal für die Granatfrauen (Memorial for the Granat Women). 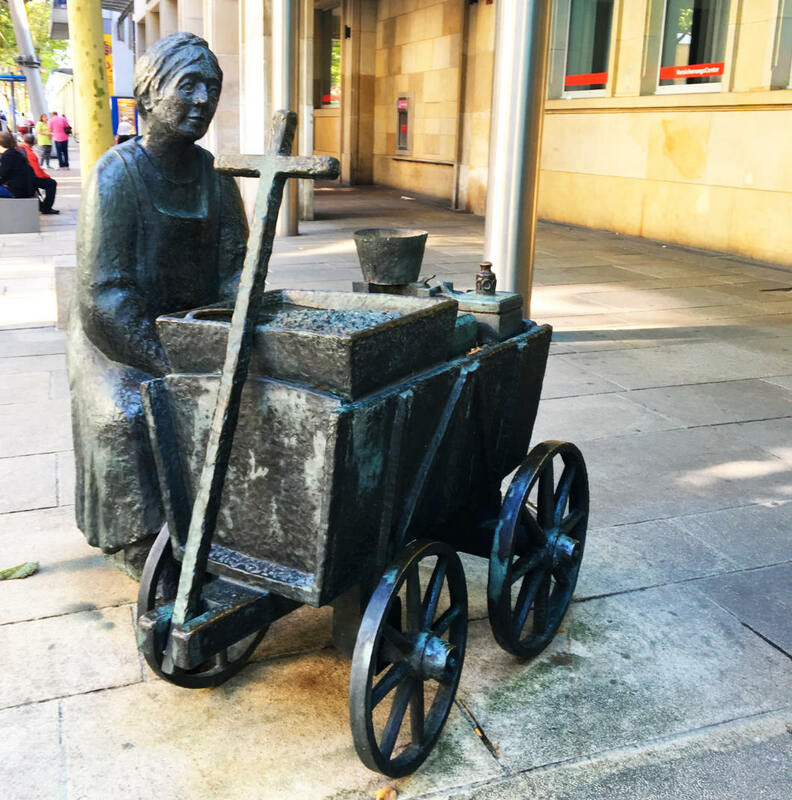 Until the 1970s women with handbarrows walked through the city and sold crabs. According to the info panels these crabs used to be called „granat“ which gave the women their nickname. 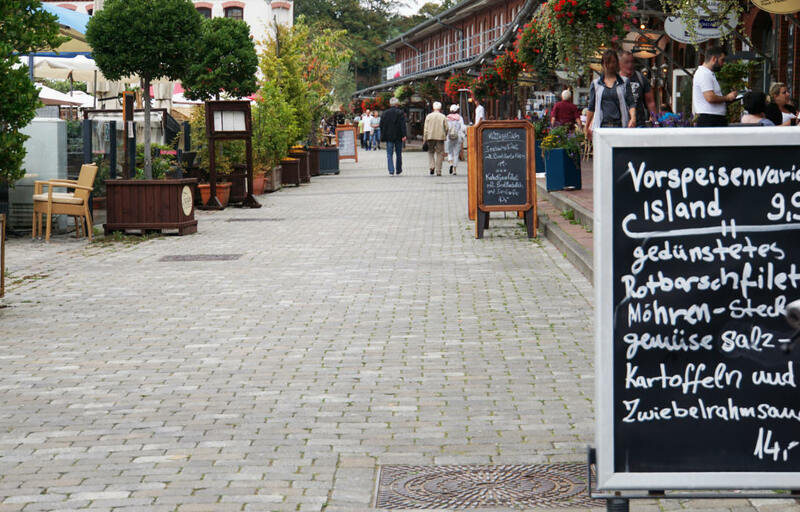 In case that sparked a craving for crabs or fish look no further than the pedestrian zone and its many restaurants and snack bars. We were not able to pass the fish sandwiches so we stopped for a break. Those who’d like a coffee whilst shopping will certainly find the right shop for that, too. 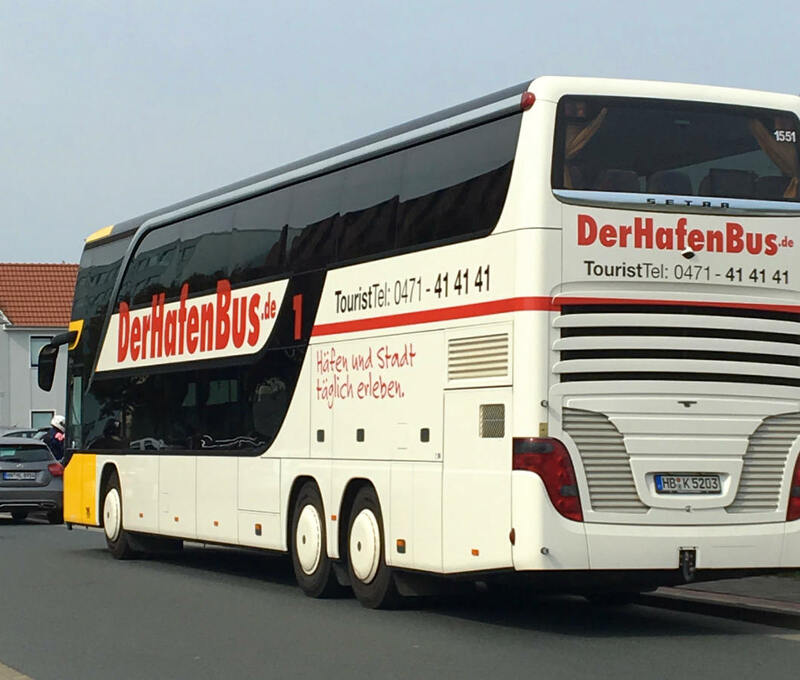 When you’re going to Bremerhaven, you have to go on a tour with the HafenBus (Harbour Bus)…. I heard that more than once. My first reaction was that I will already be joining a boat tour through the harbour, what else am I going to be seeing from a bus? Wrong! One gets to see so much more, first and foremost the workflows in the harbour that we otherwise would not have seen. The only tiny downside for me was the strict prohibition to take photographs in certain areas. But that is not going to keep me from sharing how our tour with the harbour bus went. There are three starting points at which the HafenBus calls. My tip would be to get on at „Schaufenster Fischereihafen“. The bus is already beginning to fill up at this point so getting a window seat or a spot next to ones travel partner can get tricky later on. Or the only seats left are downstairs from where I think the view isn’t quite as good. From the starting point, the bus heads to the city. The tour guide on our tour gave information related to the things we were passing. A little bit about the city’s history, a little bit about the development of the industry and of course further info on the landmarks we passed. Everything was interesting and presented very well and therefore I remember quite a few things from the tour. For example: Did you know that a fish finger is 6.5 cm long? 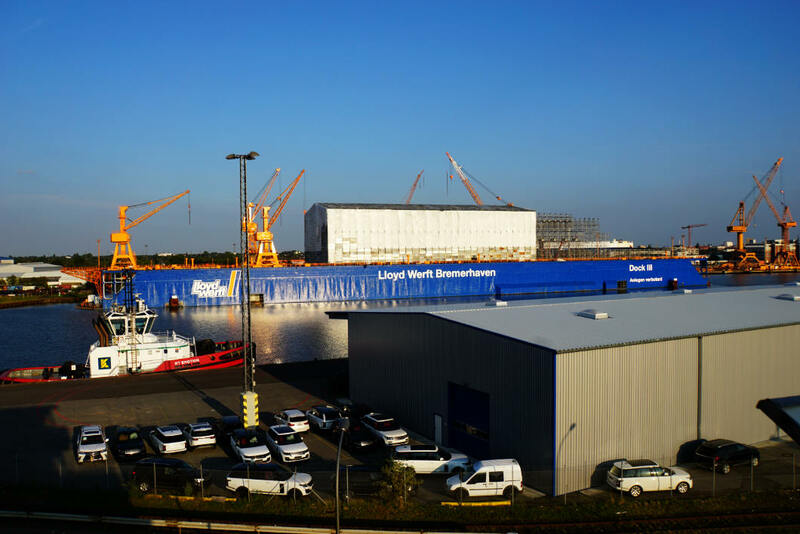 All fish fingers that are produced in Bremerhaven in one year in a row would be long enough to go around the globe 4.5 times. I was most curious about our time in the harbour area. At first, we drove past some ships that we had already spotted from the boat. As we did not take any pictures we will show you one taken from the water (because there taking pictures was not prohibited). 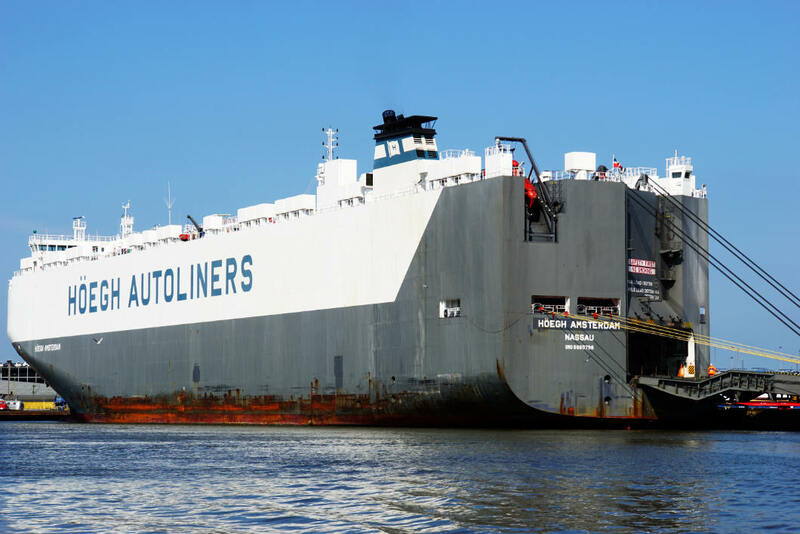 The giant car carriers of which about 45 to 50 moore in Bremerhaven each week and ship new and old cars was as imposing from the bus at it was from the water. Later, we passed Europe’s biggest car workshop. The cars are made compliant with the German road regulations and personalised according to the customer’s wishes. Afterwards, the bus took us into the high-security area in which different goods are being shipped. But to be honest, I wasn’t all that interested in these goods. What excited me more was when we drove close to the huge loading cranes that I had previously only seen from afar. We observed the cranes to understand how loading and unloading works. The container loading bridges cooperate with Van Carrier (straddle carrier) and almost every minute containers were transported around. It looked like a big ant’s nest to me in which business is carried out very well structured and organised. Observing the process wasn’t boring at all. The guide pointed out details all the time or we spotted new interesting bits of the logistic process ourselves. I was very impressed by this fantastic tour and I am very happy that we went on it. There is an observation deck in the centre of the international port. 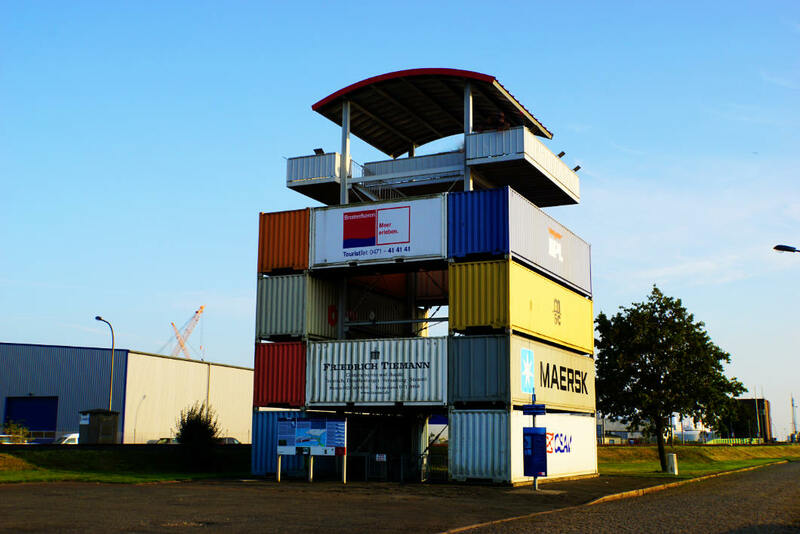 12 international cargo containers were stacked on top of each other to create the observation deck. There is a carpark right next to the tower. A grating staircase leads us up to the viewing platform. The view of the international port from up here is great. The best is that it doesn’t get boring at all up there. Lorries, cranes and trains drive back and forth. 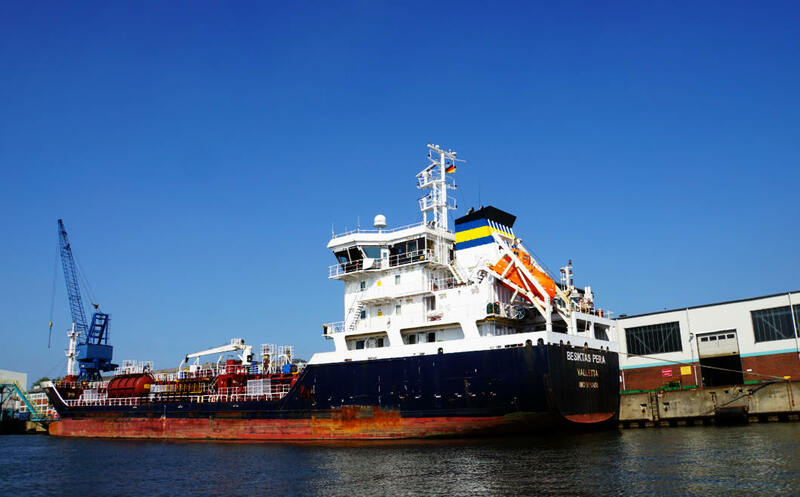 One can see moored ships and sometimes even observe the loading process. For better orientation, there is a big map of the harbour up at the viewing platform. We stood up there for a good long while and observed the business of the harbour, there was so much to see and it didn’t get boring at all. 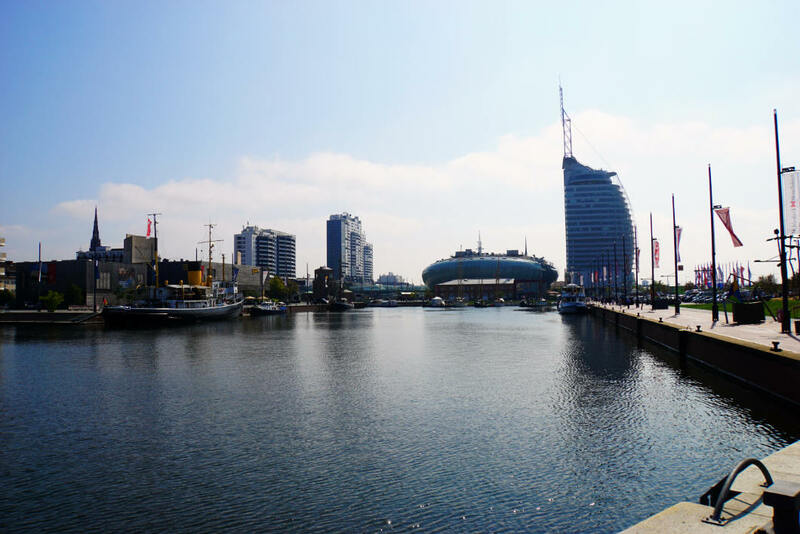 We enjoyed our stroll through Bremerhaven’s old port a lot and the weather was absolutely perfect. 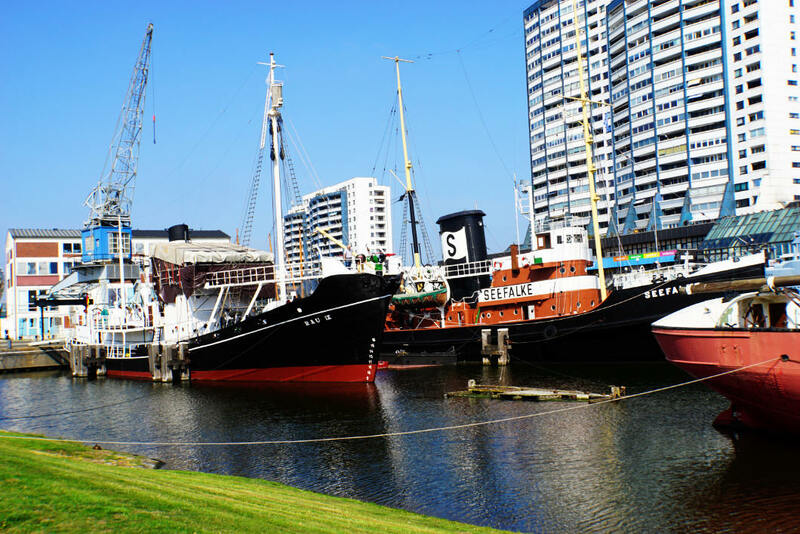 Bremerhaven was founded in 1827 and construction of the old port began at the same time. It was opened in 1930. The excavation of the harbour basin was all done manually by the way! As more and more steamships frequented Bremerhaven it became clear that the mouth of the harbour was too narrow. Many ships weren’t able to use the basin and therefore the construction of the new port began. Since 1891 the old port was only used as a fishing port. Later on, the port also no longer served this purpose and lost some size due to the creation of a neighbouring road in 1960. 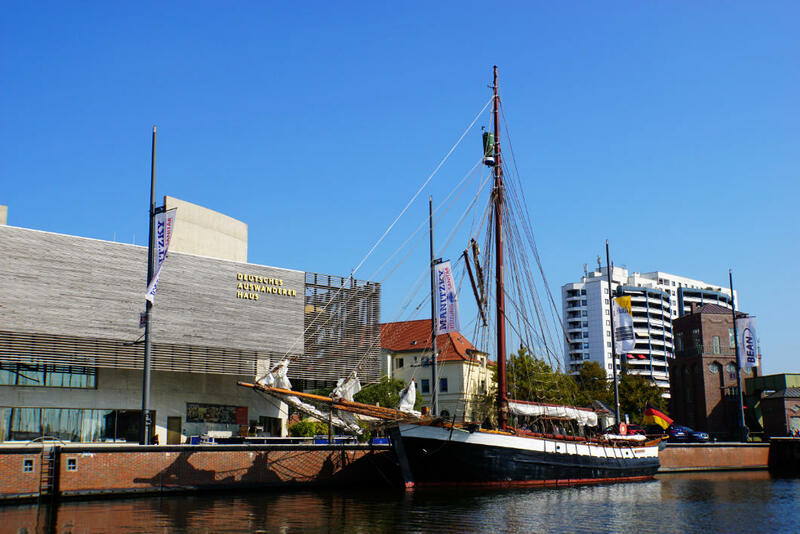 Today, the German maritime museum uses the basin for some of their exhibits. They have a couple of smaller boats on shore like the motor launch „Bracki“. An old loading crane is also located next to the basin. The old port is home to the submarine „Wilhelm Bauer“, which is used as a technology museum. 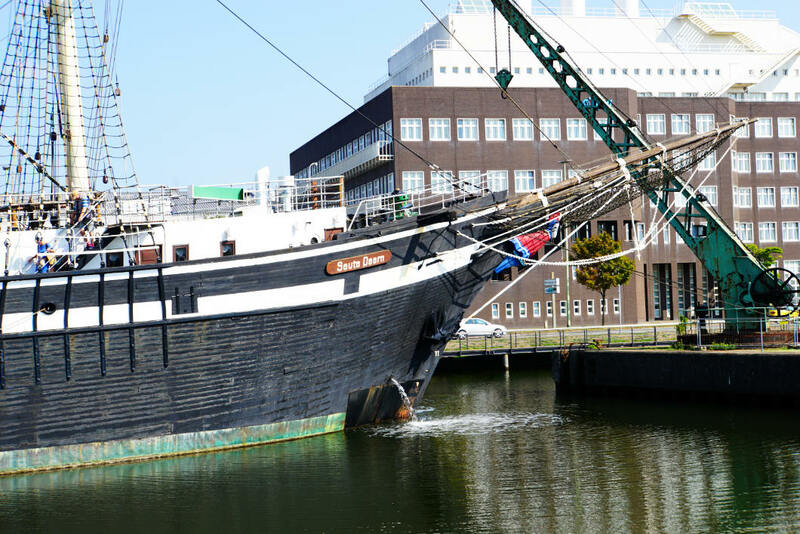 On top of that, some other ships are moored there, too, like the last wooden trading sailboat, the sailboat „Seute Deern“ – World Cultural Heritage – which is moored here since 1966. The German Emigration Centre is one of my highlights from our trip to Bremerhaven. I liked the German Emigration Centre so much that I dedicated a whole article to it. 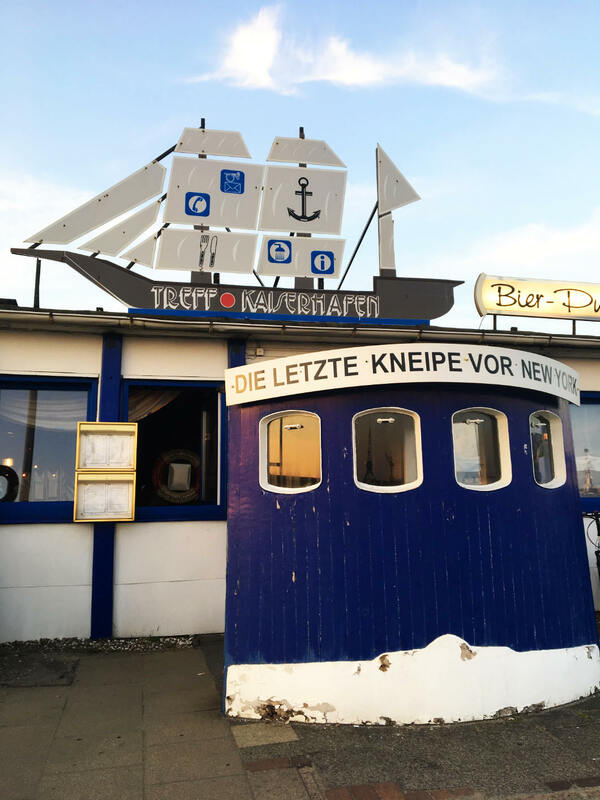 Bremerhaven and eating fish belong together like… well, I love fish and I was happy to be close to the source once again so that for a change I don’t have to eat frozen fish. A spot with very many fish restaurants is the Schaufenster Fischereihafen. It was a bit too crowded and overflowing with people for my liking. We had a good meal here before we started our tour with the HafenBus. What I liked a lot better was the Treffpunkt Kaiserhafen, also known as the last bar before New York, right in the middle of the international port. It didn’t look too inviting from the outside and if we wouldn't have heard so much about it before we certainly would not have gone in. Inside, a cosy and maritime ambience was waiting for us. Everything was inspired by seafaring, starting with the safety edges on the table all the way to the decor on the walls. And the food was good, too. I had a fish soup that was so filling and rich in fish that it was sufficient as a main dish for me. 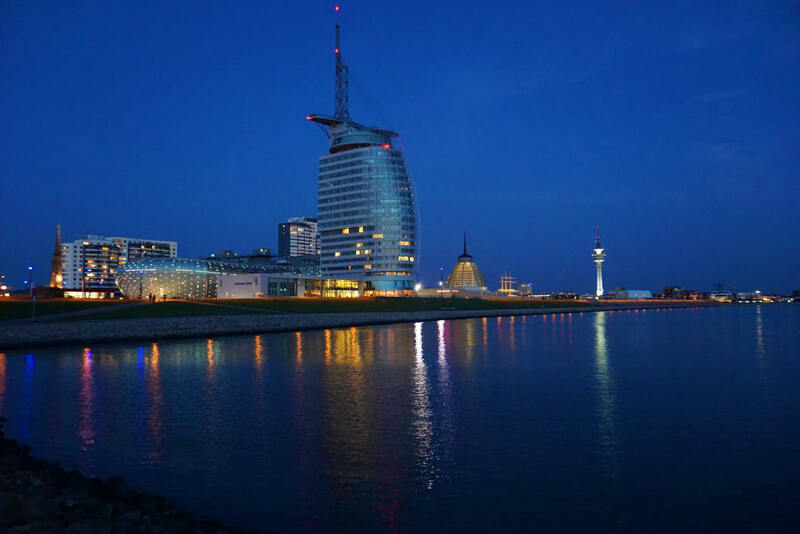 The Climate House „8 Grad Ost“ was like a trip around the world within our Bremerhaven trip. I am still deeply impressed by the experience I had in the Climate House. 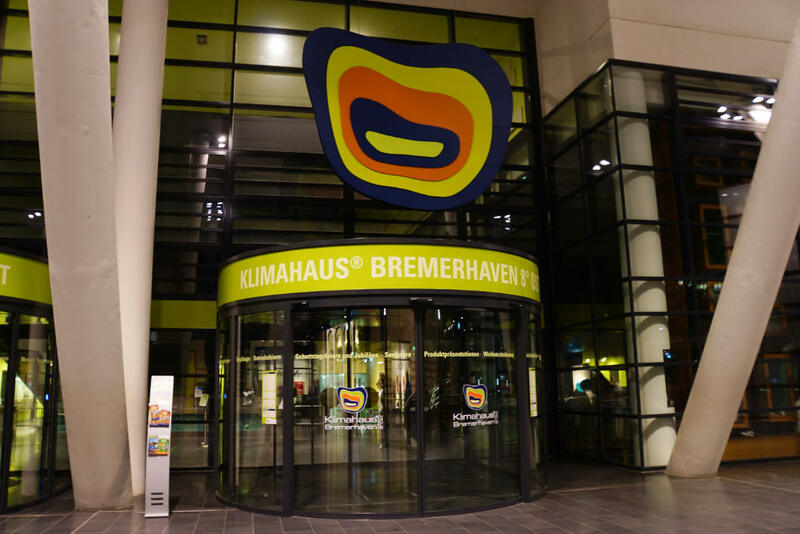 If you’d like to read more about it, you can find a whole article about the Climate House in Bremerhaven on our blog. 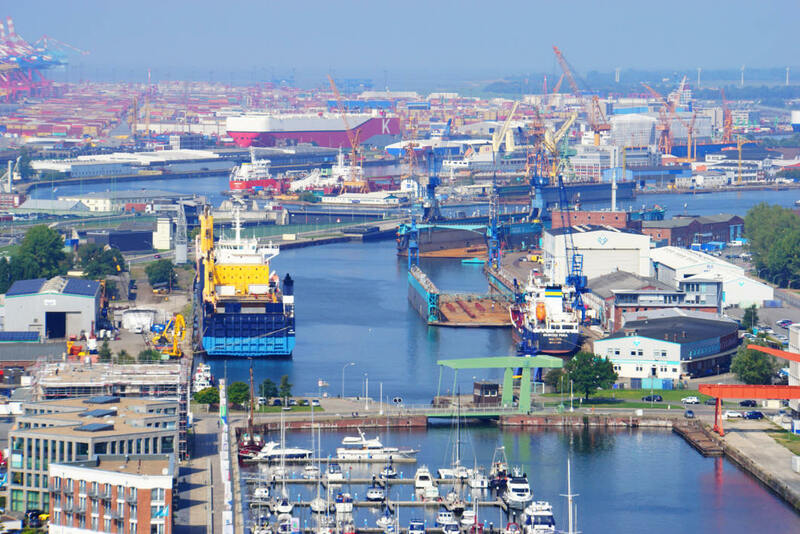 After all of the ports and the water that we saw, we were looking for something in Bremerhaven that has nothing to do with water. What we found was a lovely park. The Health Park Speckenbüttel is in the north of the city. We enter the park through a massive gate and find a little forest and some big lawns. 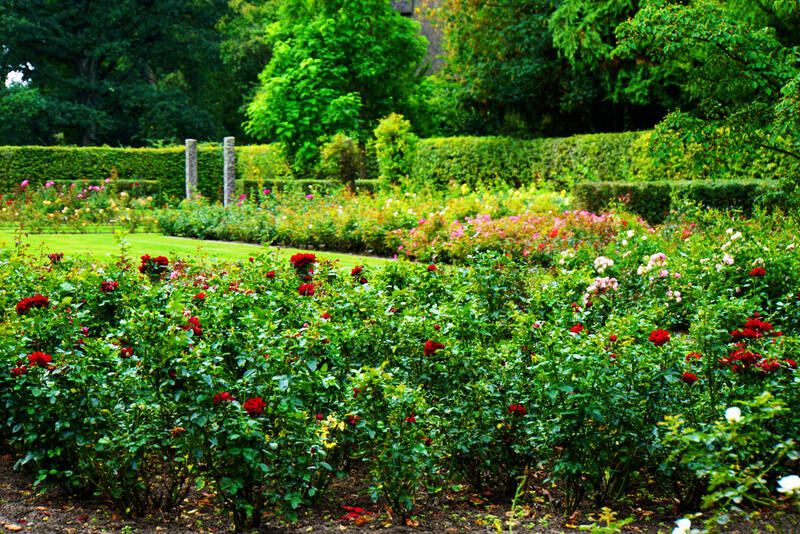 There is also a rose garden with benches and the „path of the healing trees“ with many spots to rest from everyday life. 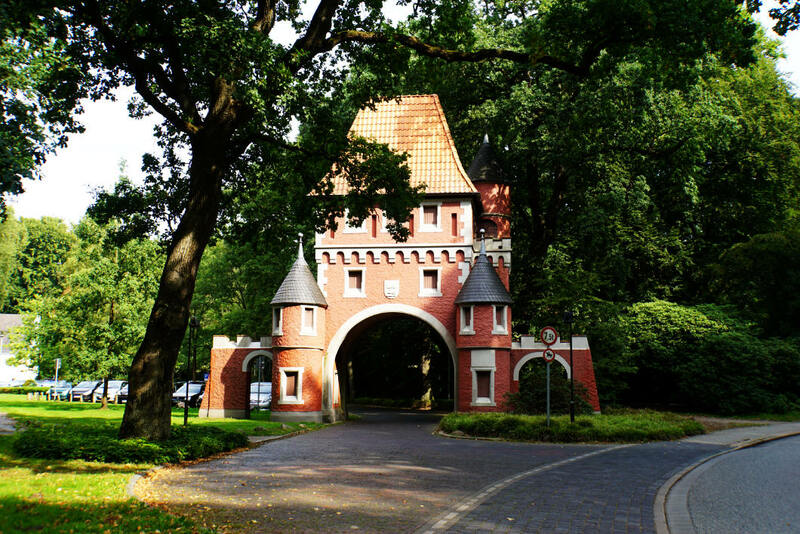 Visitors can also enjoy an open-air museum with historic farmhouses (Geesthofanlage and Marschenhäuser). The visit to the park was a nice little change from the lively harbours and a good way to rest – a lovely walk in nature. 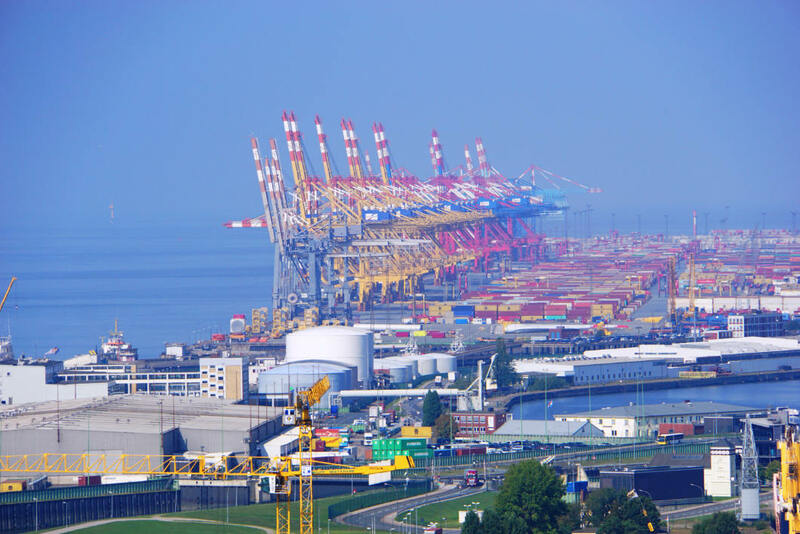 The new port of Bremerhaven was constructed after the old port had gotten too small. Northern Germany Lloyd was the main user of this port at the time. Many buildings from this time still exist today: Simon-Loschen Lighthouse, Beach Hall, drydock, drawbridge and powerhouse. 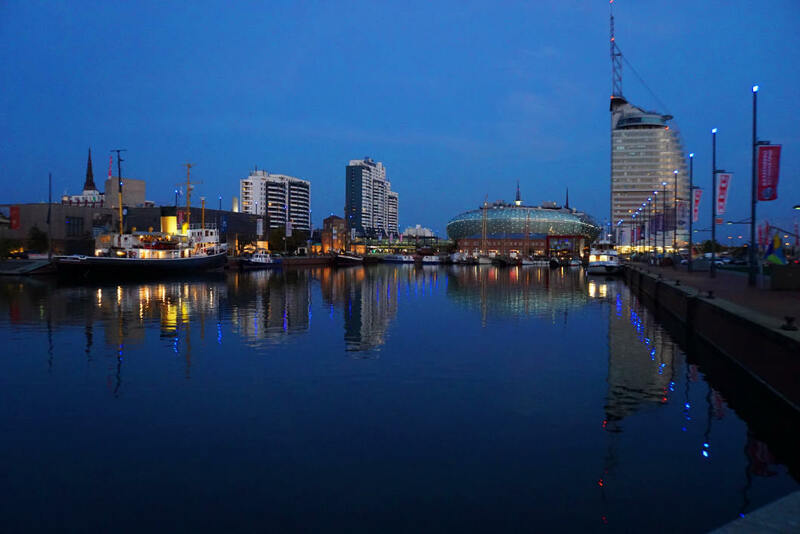 Today, the area is dominated by buildings that belong to Havenwelten Bremerhaven (Bremerhaven Harbourworlds) like the Climate House „8 Grad Ost“, the SAIL City viewing platform, the Mediterraneo (Mediterranean shopping mall and restaurants), the Lloyd marina, the German Emigration Centre and the seaside Zoo. The Simon-Loschen Lighthouse is one of the older buildings of the port. After the new port was constructed, it needed a beacon light at the lock that led into the harbour. 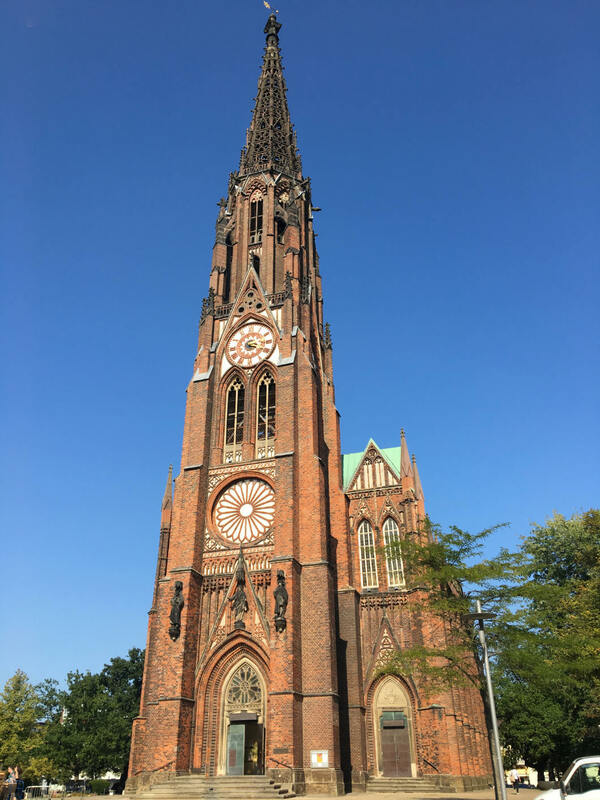 In 1853 the architect Simon Loschen was hired to build this tower. He designed a tower for the northern side of the lock in the German Red Brick Gothic style that was going to be 39.9 meters tall. 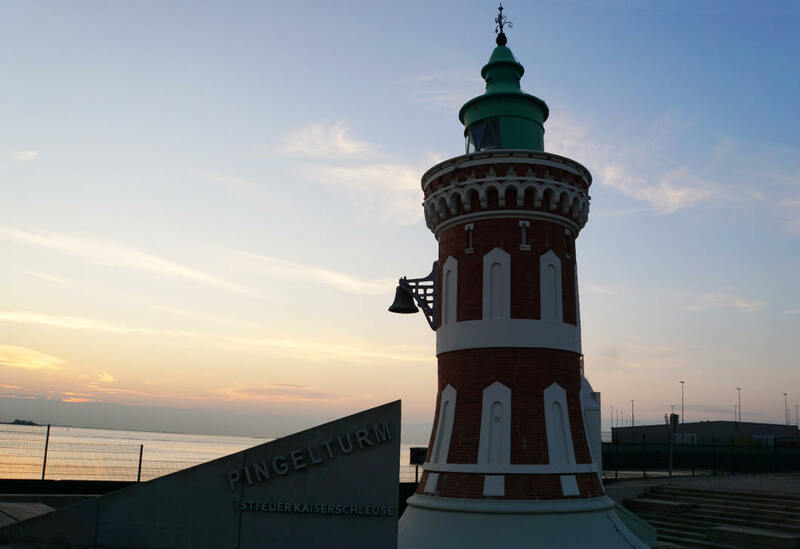 The lighthouse started operating in 1956 which makes it the oldest onshore lighthouse to be operating in the German Bight. 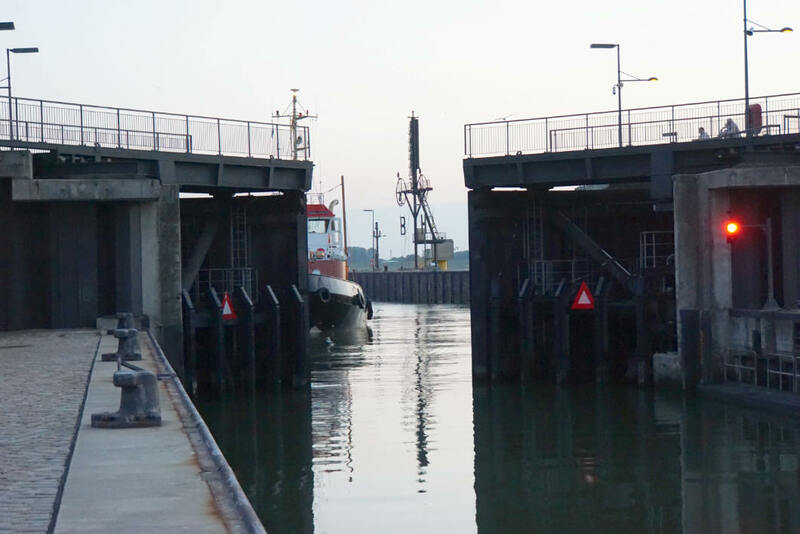 At the Sportbootschleuseneinfahrt (pleasure craft lock mouth) of the new port is a semaphore that fascinated me. 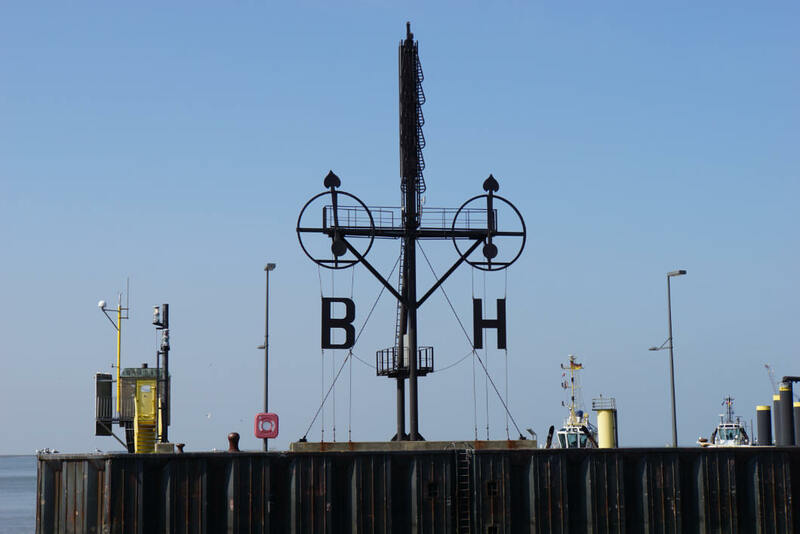 This device measures wind and shows both wind strength and wind direction around Borkum and Helgoland. The data is sent over online every two hours by the German Meteorological Service and is then visualised by the device. The device from 1893 has two hands that are 4.5 meters long each, showing wind direction, and six hands that are 1.5 meters long each, sowing wind strength (1 – 12). Every one hand represents two wind strengths. The device needed to be shut down in 1972 but was rebuilt in 2005 for the Sail trade fair. This is also where the mouth of the pleasure craft lock is that leads into the new port. 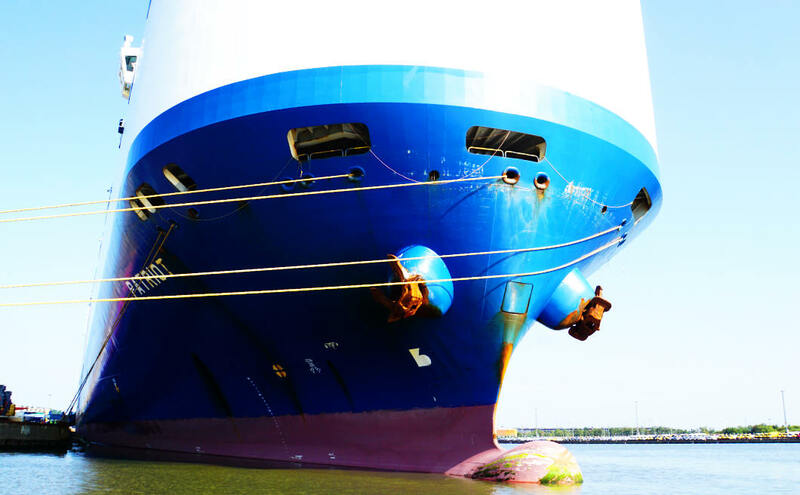 Ships enter and leave the port through the lock multiple times per day. Every time a friendly, pre-recorded message is played in German and English that asks people to leave the bridges that cross the lock. Watching a lock always amazes the old landlubber that I am. Almost a secret inside tip it the Pingelturm (Pingle Tower) at sunset. The Pingelturm is a lighthouse at the Kaiserschleuse (Emperor’s Lock) at the eastern pier of the Kaiserhafen (Emperor’s Harbour). The tower was built in 1900 and is under Monument Protection. It still operates today. 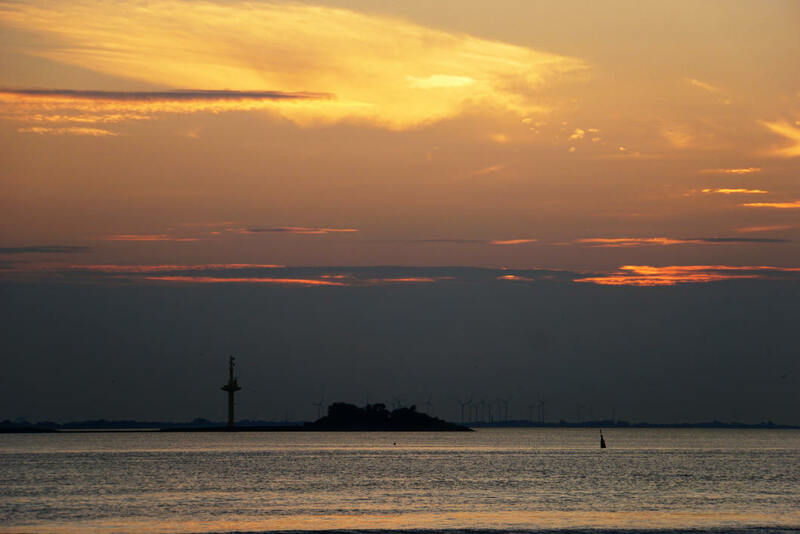 We experienced a dreamy and romantic sunset here. 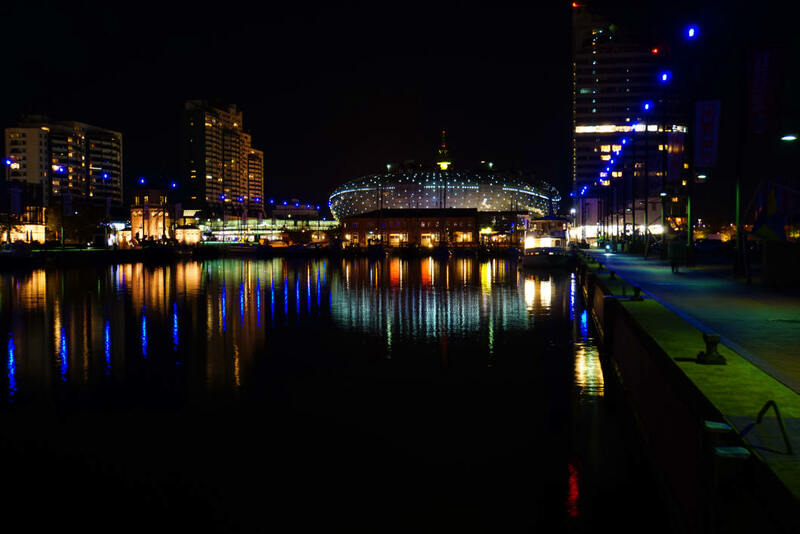 … then the illumination of the Climate House and the ATLANTIC Hotel SAIL City. A little further down, at Willy Brandt Square, the view of the Weser banks is wonderful. 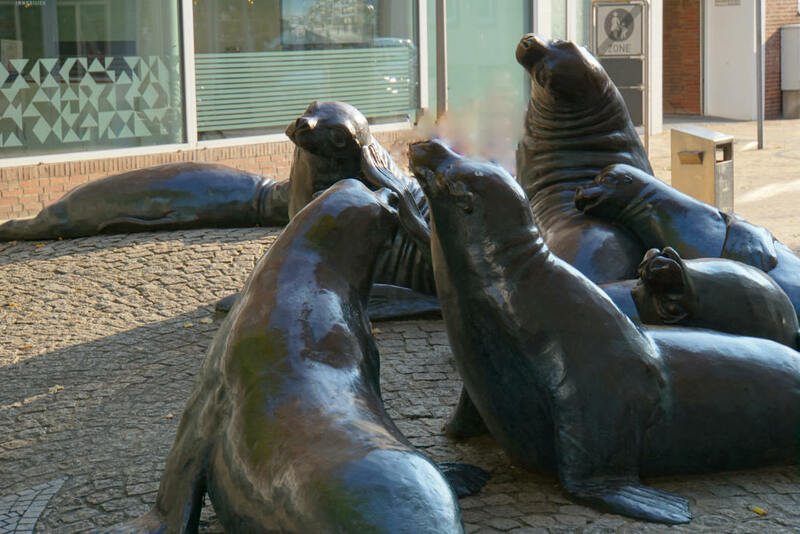 Bremerhaven has some really dreamy photo spots! 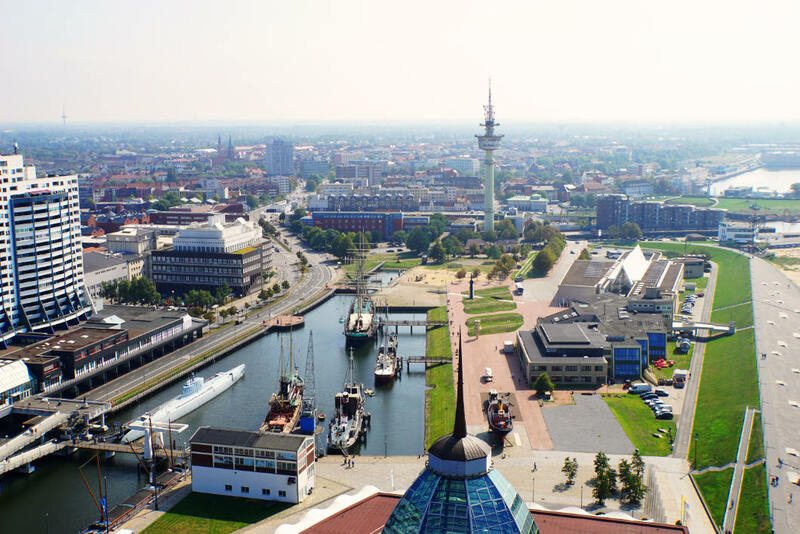 Our visits to the viewing platform SAIL City, the harbour tour of the international port, the HafenBus tour, the visit to the German Emigration Centre and to the Climate House were part of a sponsored trip in cooperation with „Bremerhaven erleben“. Thanks a lot! The descriptions of these visits represent my own opinion.